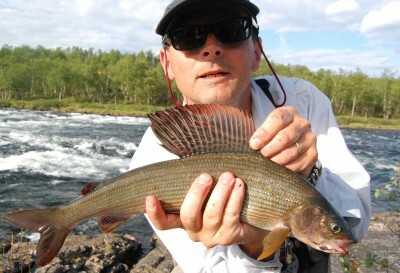 CreActive Adventure arrange professional guided fly fishing adventures in Northern Scandinavia since 2001 for the demanding fly fisherman on Kaitum, Lainio and Pite River. Day 1. At arrival to Kiruna airport CreActive guides welcomes guests you for transfer to Helicopter base in Kiruna, Kurravaara. Stop at shops in Kiruna for completing of equipment and personal gear if wished. 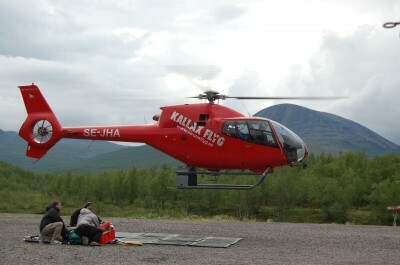 Packing of gear and departure with helicopter to Lainio. Flight time approx. 40 minutes. At arrival to Lainio River dinner on the riverside depending on arrival time. After meal and security instruction we leave with the rafts/ inflatable canoes to start our journey downstream. First night stop for fishing and overnight in Lavvu camp, dinner and night snack served. Time for guided fishing as long as you wish. Overnight on mattresses and sleeping bags in 10 man Laavu tent. Day 2. Wilderness breakfast served in Lavvu camp. Time for fishing until noon. Rafting downstream for new fishingspots. Wilderness Lunchs served by riverside. Time for guided fishing and new laavu camp. Wilderness dinner served at Laavu camp. Time for guided fishing as long as you wish. 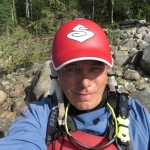 Overnight on mattresses and in sleeping bags in Laavu tent. Day 3 – 6. Scheduled as above. Depending on weather and fishing spots we follow the river downstream towards the Jårkkaståkka bridge for last night camp. Day 7.Wilderness breakfast. We paddle the last part down to Jårkkaståkkå Bridge. Pack of all gear and minibus transfer to Kiruna APT. Price: SEK 23 950 incl. VAT (25%) per person min 4 paying guests. Price includes: 1 licensed guides for rafting and fishing, 1 self-bailing raft 8 person, 35 l dry bag/guest for personal equipment, lifejacket (PFD), full board from lunch day 1 to breakfast last day, dinner, lunch over open fire, all meals prepared by the guides. Overnight in Sami Tee –pee, mattress and sleeping bag, all transports; by helicopter or on land. Fishing permits. Not included: Alcoholic beverages, Gear and items of personal character. Security: CreActive brings security equipment: GPS, Satellite phone, first aid during expedition. CreActive is insured and licensed for rafting and expeditions. We always recommend our guests to have a valid travel insurance during expeditions. Teamwork: During our tours and expeditions we work as a team, when it comes to paddle and set up of camp etc. To get a good experience of the daily outdoor life. Food: Wilderness breakfast are normally bread, cheese, ham, sausage, coffee, juice. For lunch we normally serve soups with bread and coffee and cookie, Dinners are always two course. On longer tours we cook pasta, mashed potatoes, conserved food. We also cook fish that we catch during our expedition. 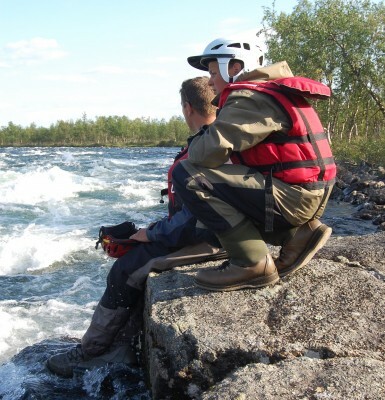 Clothing: Waders is obligatory, waterproof clothing, reinforcement clothing for colder weather, hat and gloves. At least one change of extra clothes if you would get wet. Bring your own towel and hygienic articles. Mosquito repellent, sunglasses, and sun protection cream is good to have. 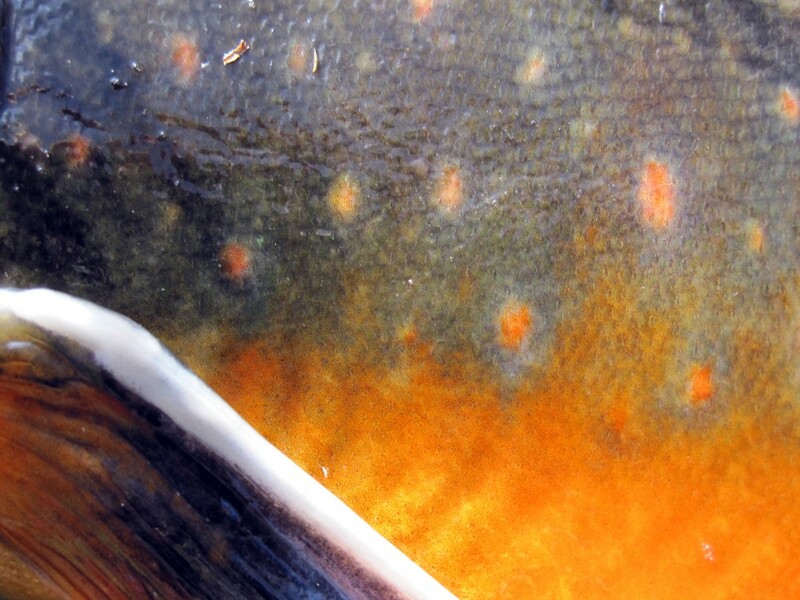 In all arrangements we practice ecological fly fishing with experienced and professional guides.